Hello everyone, and welcome to a brand new challenge on the Chocolate Baroque challenge blog. Thank you for all of your entries into last month's challenge, we will be announcing the winner next week, both here and on our Facebook page. Keep a look out, it could be you! 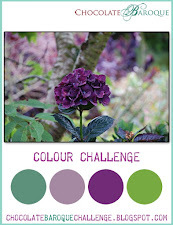 As a reminder to those of you who have visited our blog before, and for anyone who is new to the blog, our challenges are monthly, based on an inspirational photo and a colour swatch. A new challenge is posted on the third Wednesday of every month and you can use any medium to create your projects; paints, inks, pencils, pens, etc., as long as you keep to the colours from the colour swatch in your project. 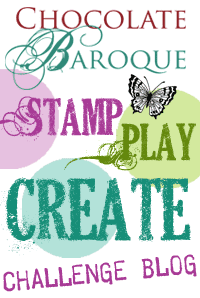 We are offering a monthly prize of £15 to spend on Chocolate Baroque stamps to one lucky winner, who will be selected by Random. 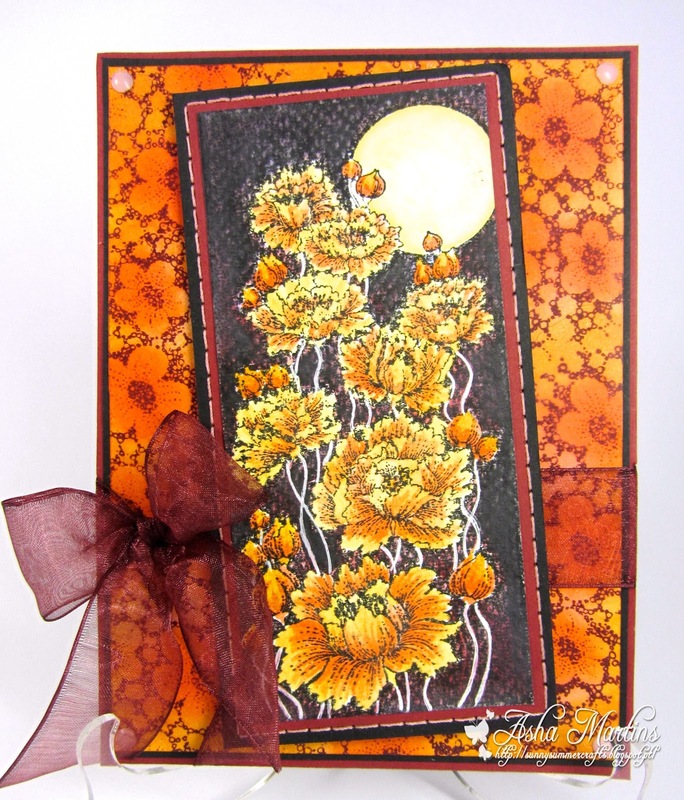 org from all of the entrants who have used Chocolate Baroque stamps that are currently available on the website. We welcome entries incorporating any other stamps, but they will not be eligible to win the prize. All entrants will have a chance to be selected as one of our Top Three and can then display our 'I made the Top Three at Chocolate Baroque' badge on their blog. If you have any questions at all, please don't hesitate to contact our challenge blog team. You can get in touch by sending us a private message. Details are at the end of the blog. We look forward to seeing what you create using the colours provided and hope that you enjoy the challenge! So get out your stash and start playing. Fab inspiration from the DT again this month. Gorgeous inspirational pieces ladies. Looking forward to seeing all of the entries again this month. Krisse (No. 2) Sorry, I am unable to find anywhere to leave a comment on the link to your project. Love your Steampunk Christmas cards, especially the effects you have created around the bulbs. They look like they are glowing. 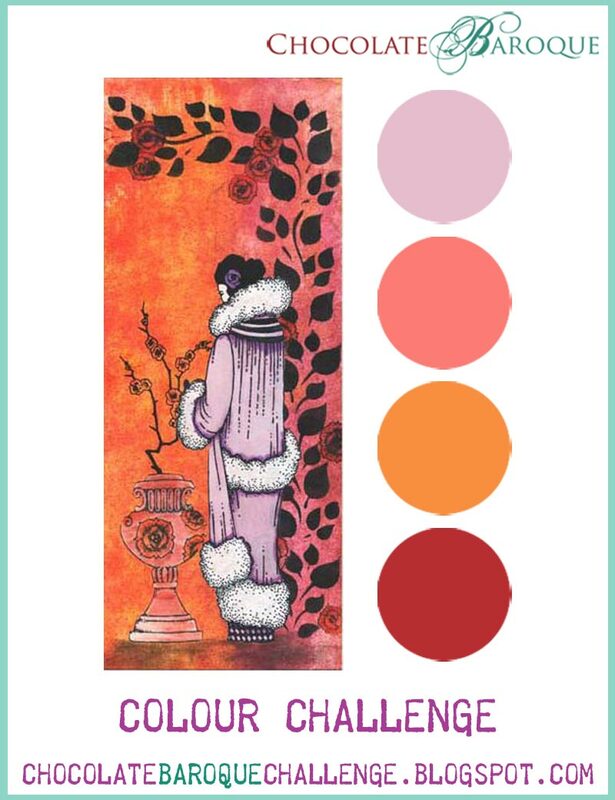 Thank you for playing along with the CB Color Challenge. 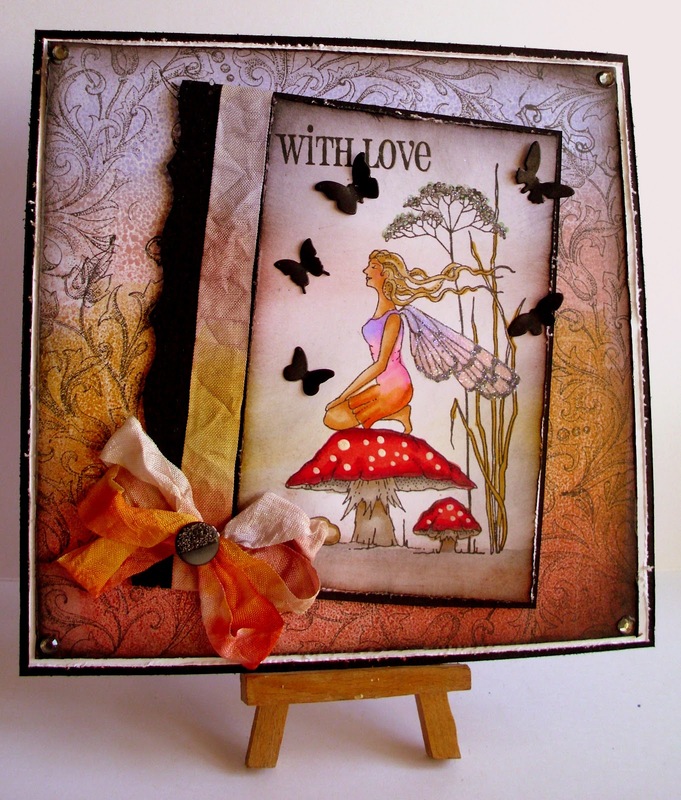 Janice Stone (email entry) - Gorgeous butterfly card Janice. Love the design. Thank you for playing along with the challenge. Kelly Mattisonn (22 email entry) - Wonderful card. Your design is stunning. Thank you for playing along with the challenge. A very warm welcome to the Chocolate Baroque Challenge Blog. We love crafting and stamping in particular and we love to share and encourage you to have a go. We hope that you will be inspired to get your stamps inked up, make some time to play and end up with a creation you are proud to share with us all. Please take a look around - we have tabs at the top that give you lots of information about how our challenges work and if you have any questions at all, please use the Contact page to get in touch and one of the team will get back to you. Can't find what you're looking for? Use this form to send us a private message. Challenge 4 Week Two, it's Winners Week! Copyright 2014 Chocolate Baroque Ltd. All Rights Reserved. Ethereal theme. Powered by Blogger.